As we’ve said, we help you see your money simply as the fuel that makes your life go. With that said, the management of your investment portfolio is key to keeping the tank full. So we take that very seriously. As a Registered Investment Adviser, we are fee-only and do not utilize any commission-based investments. We are fiduciaries and only recommend investments that are in your best interest. Because every family is unique, every investment portfolio is unique and developed based on time frame and risk tolerance. On the accumulation side, our investment approach is based on Modern Portfolio Theory (MPT) using ETFs and no-load funds. Our fund selection uses a specified mix of indexed and managed funds per asset class to provide stability while getting exposure to investment managers with strong performance records. 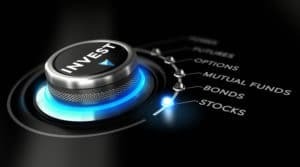 We do take into consideration 401(k) and other retirement funds managed through your employer when developing the portfolio and selecting the asset allocation. As your family gets within 2-3 years of retirement, we begin to modify our approach based on the cash flow needs from the portfolio. We start looking ahead to five-year increments to be sure the less volatile portions of the portfolio are sufficient to cover anticipated spending needs. This allows the more volatile/growth-oriented portions of the portfolio time to weather various economic cycles. 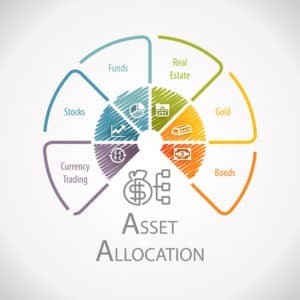 This approach ensures that you will have the income you need for that five-year window as well as growth in the remaining asset pool for spending needs into the future. Our fees for investment management are based on managed portfolio size with the rate decreasing as the size of the portfolio increases. As you reach new break points, the new rate is locked in and does not go backwards. Further, if your children or parents have investment needs, they receive the same rate as you regardless of the amount they have available to invest; your portfolio sets the rate for your family. Furthermore, all fees are fully disclosed and reported. It is your money and not ours, so transparency is very important to us.